Once you've downloaded the View Rescue utility run the .exe on one of your SharePoint 2010 web front end (WFE) servers, click Install and follow the prompts. 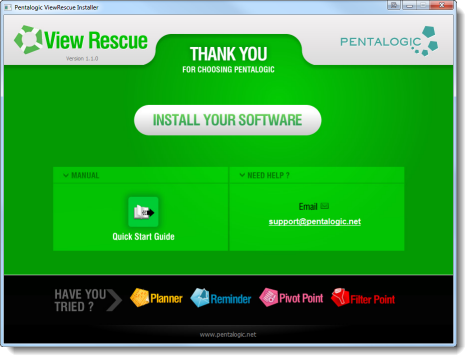 Once you've installed View Rescue it can be activated on a site by site basis. 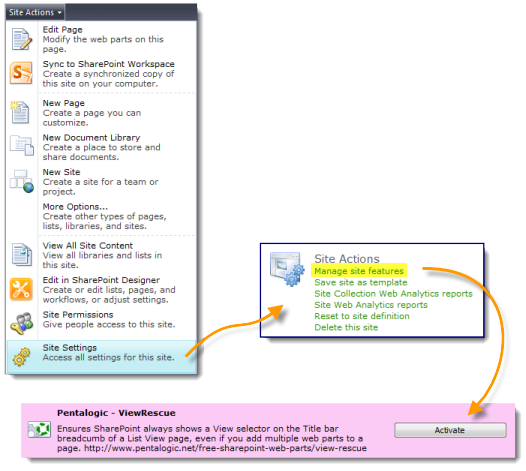 Select Site Actions > Site Settings > Site Actions > Manage site features and if necessary click on the "Activate" button next to Pentalogic View Rescue - that's it!